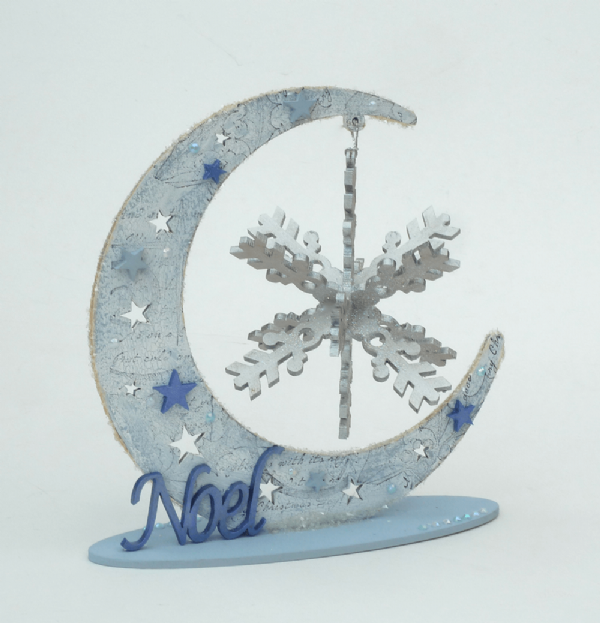 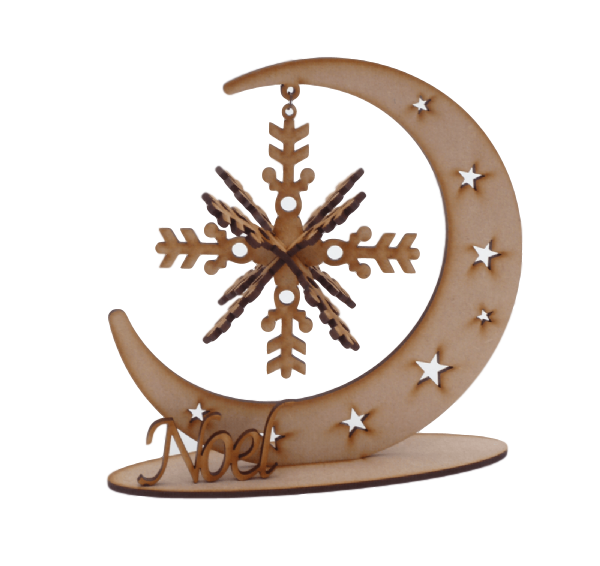 Made from 3mm Mdf, have fun assembling and decorating this Dreamy Moon and 3 Dimensional Snowflake, comes complete with the word 'Noel' The possibilities are endless to create a beautiful free standing Christmas decoration. 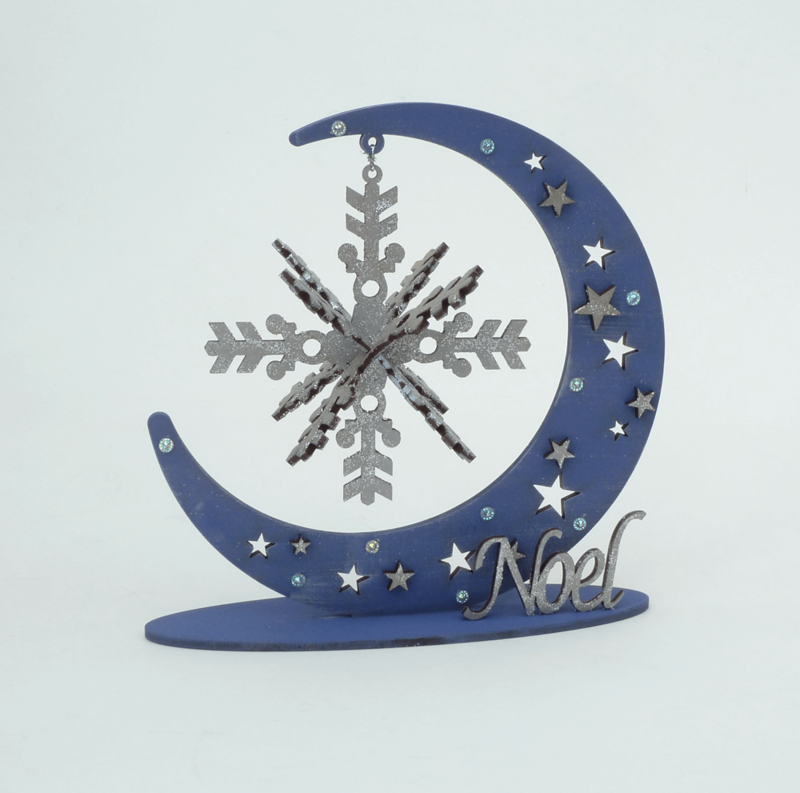 Size: Moon approximately 180mm x 180mm. Snowflake 110mm in diameter once assembled.